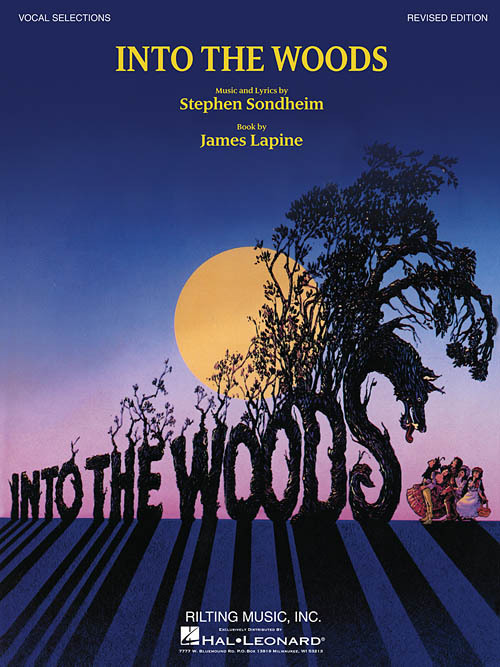 Into the Woods blends various familiar fairy tales with an original story of a childless baker and his wife, who catalyze the action of the story by attempting to reverse a curse on their family in order to have a child. Newly edited, with new music engravings, added songs, articles and photos. Includes: Agony - Any Moment - Children Will Listen - Giants in the Sky - I Know Things Now - Into the Woods - It Takes Two - No More - No One Is Alone - On the Steps of the Palace - Stay with Me.